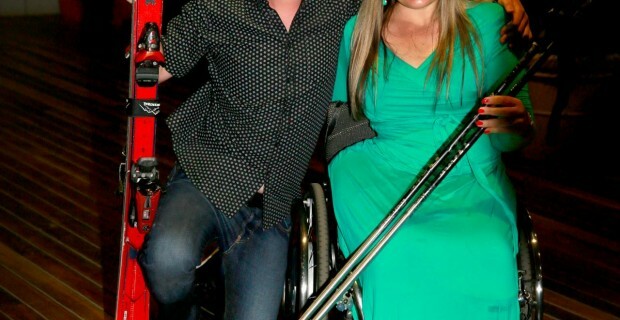 Triple Paralympian Marayke Jonkers awarded the 100th grant from her Sporting Dreams foundation for Queensland athletes with a disability to East Brisbane athlete athlete Jordan Carroll at a gala presentation event on the Sunshine Coast last night. Aspiring Winter Paralympian, 18-year-old alpine skier Jordan Carroll, was the historic 100th grant recipient, receiving his award from Marayke along with the evening’s special guests inaugural Sporting Dreams grant recipient, Paralympian Rachel Dodds and Sunshine Coast Regional Councillor Jason O’Pray. Jordan, 18, became hooked on alpine skiing after being invited to development camps with Disabled Wintersport Australia and Camp Quality. 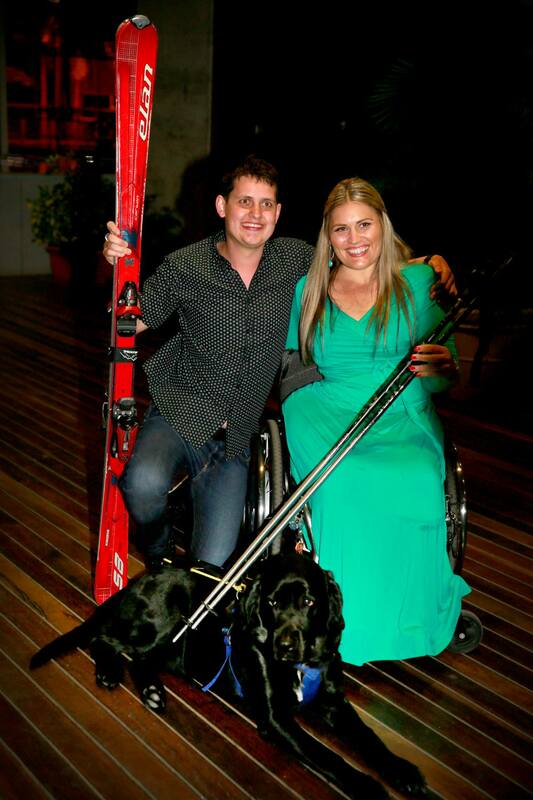 Jordan skis with a guide because he has a vision impairment due to an inoperable tumour growing on his optic nerve. At age 11 he had a stroke, fell into a coma and didn’t speak for three months. One year later his family learned the devastating news he has a rare form of brain cancer, which will eventually lead him to become completely blind. He had tried skiing prior to losing his sight and was determined to get back on the slopes. He now aspires to represent Australia at the 2018 Winter Paralympics and is already well underway, having been invited to train recently with the Australian Paralympic squad- just a year after taking up the sport and finishing his cancer treatment. At the award presentation Jordan told the audience that “Living in Queensland without snow is a challenge – a home grown version of The famous movie “Cool Runnings” about the Jamaican bobsled team. To build his leg strength for skiing Jordan uses an indoor skiing simulator, competes in pilates, gym, swimming swimming and tandem cycling. If he succeeds in his quest to represent Australia at the Paralympics he could become Queenslands first winter Paralympian.